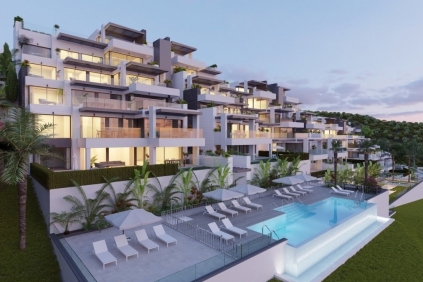 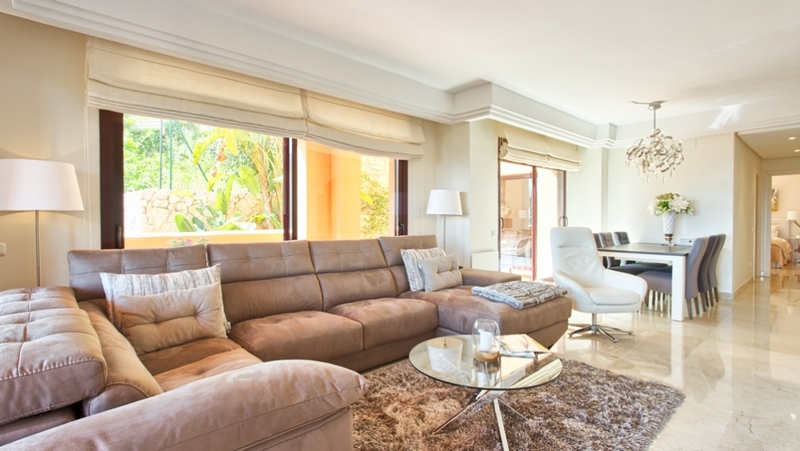 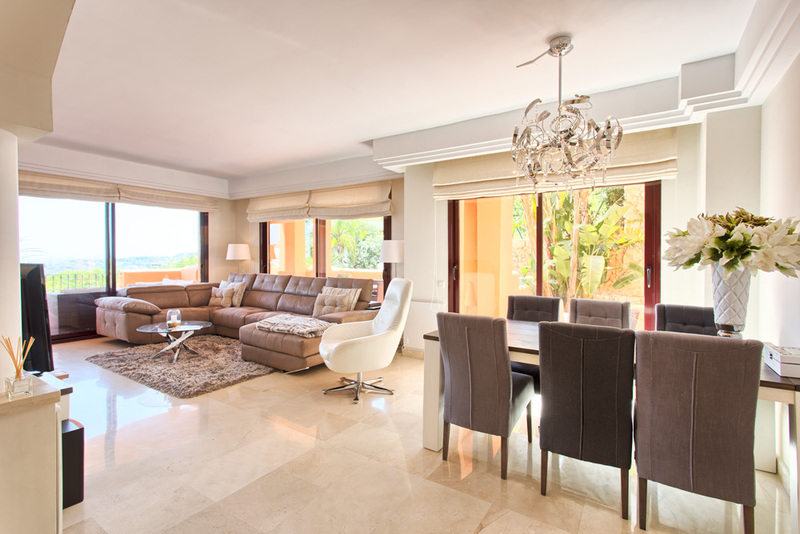 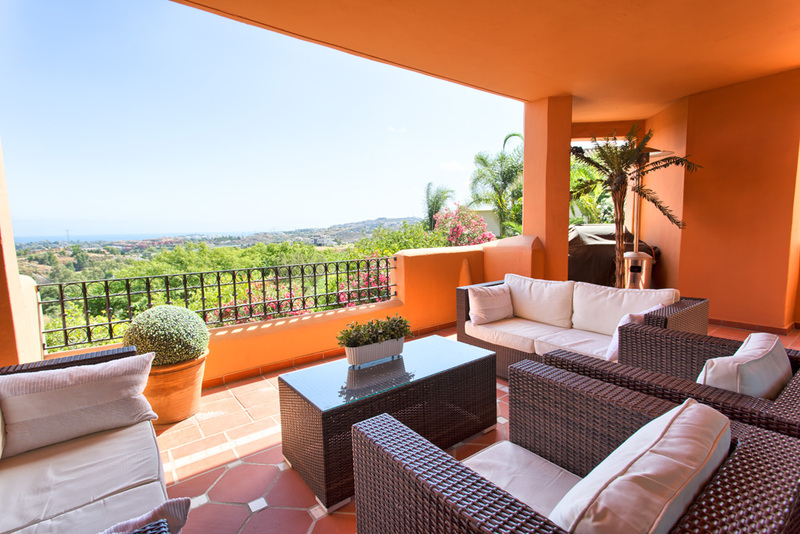 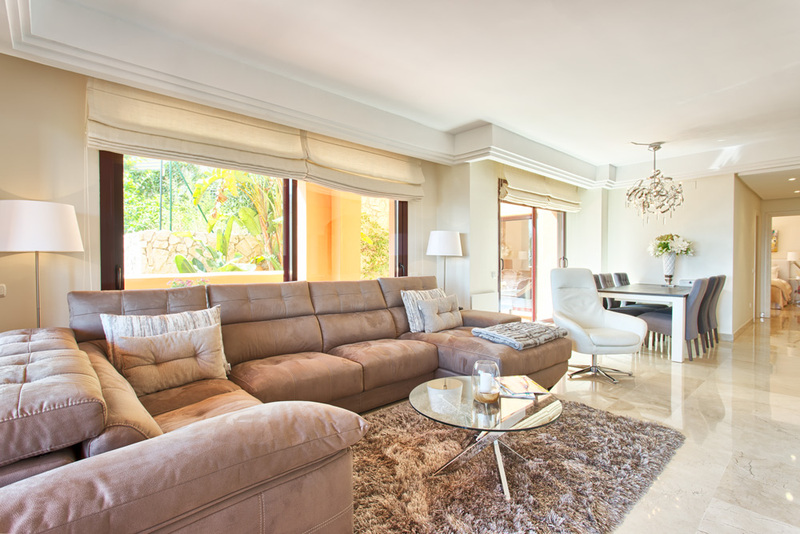 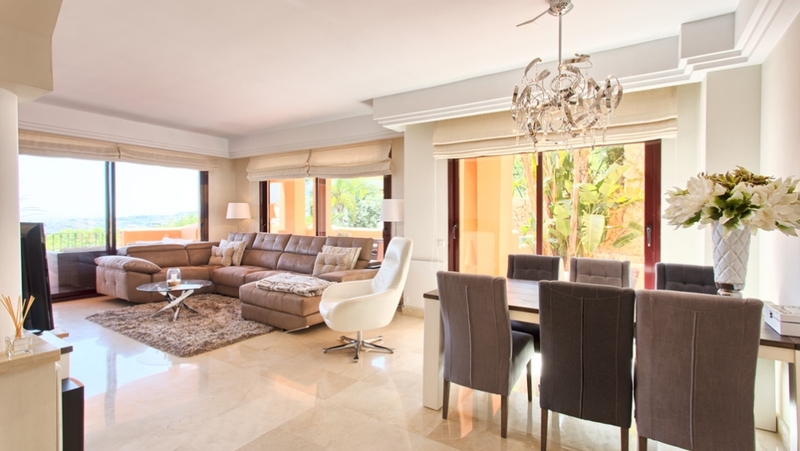 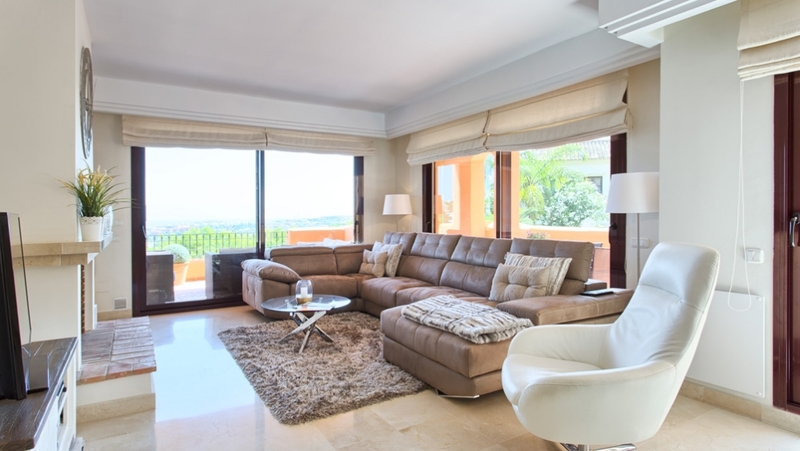 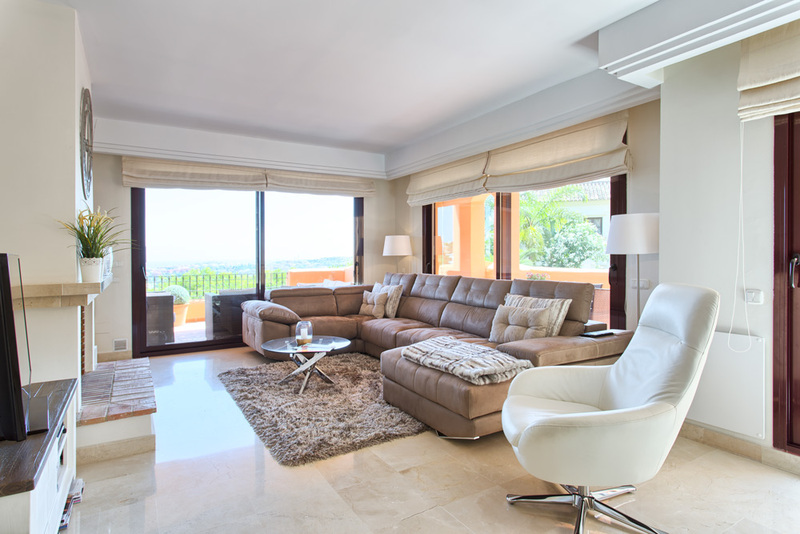 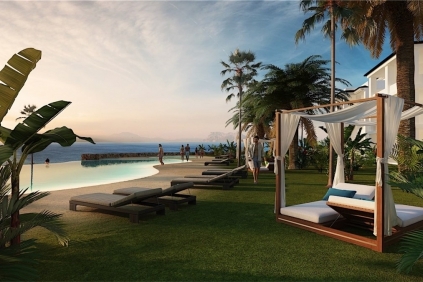 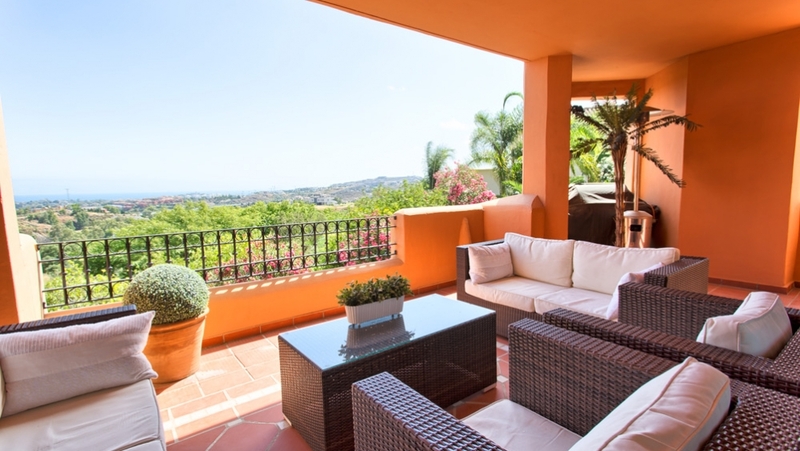 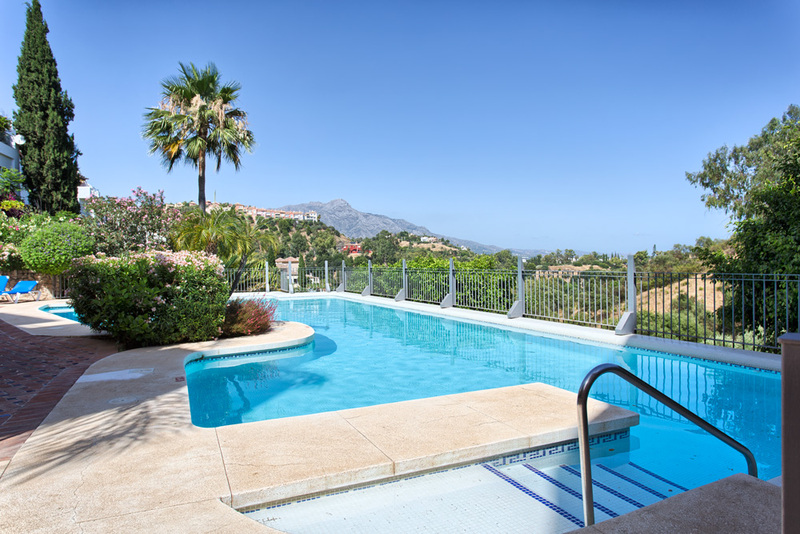 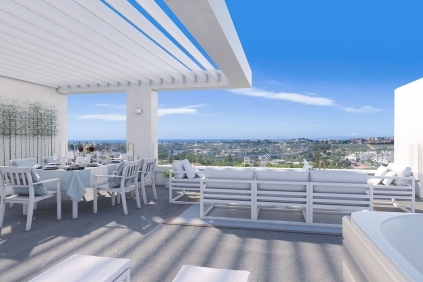 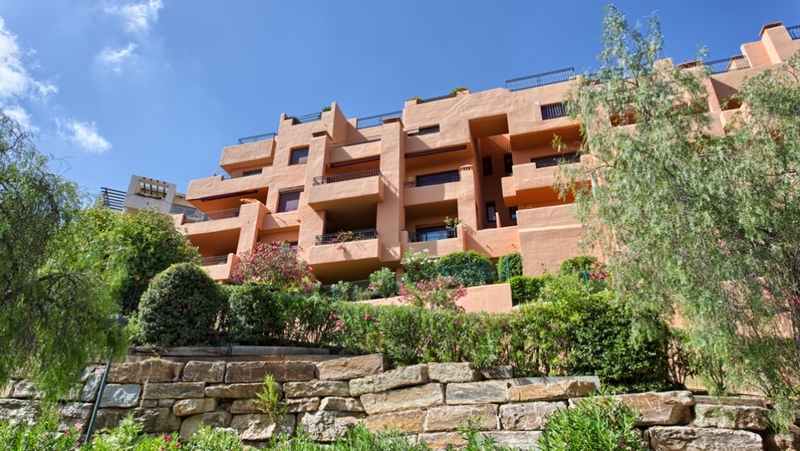 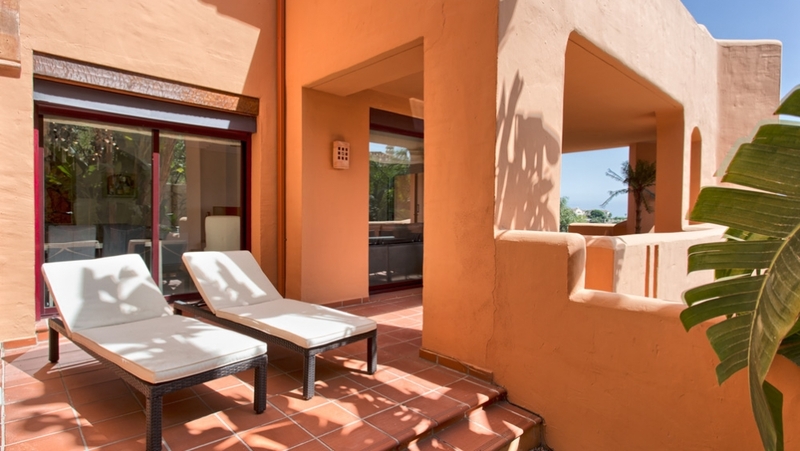 Very spacious and bright elevated ground floor apartment, south west facing with open panoramic views over the Mediterranean in Cumbred de los Almendros, a peaceful urbanisation on The Ronda Road/ Benahavis, within 5 minutes drive to San Pedro Town and the beach, and less then 10 minutes to Puerto Banus. 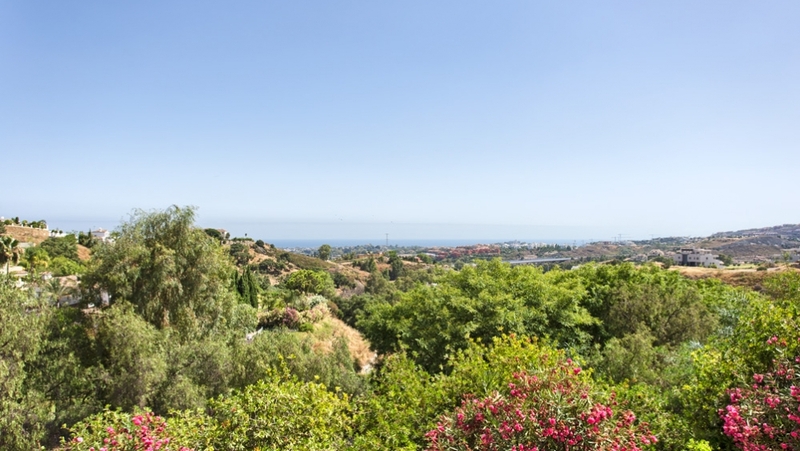 Within walking distance to a small commercial centre with shops, banks, restaurants and bars. 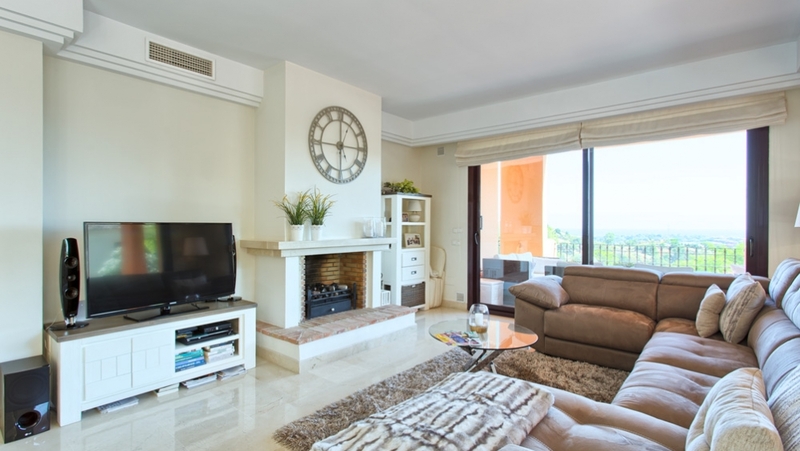 The property is an elevated corner ground floor comprising of a good size living/ dining area, guest toilet, fully fitted kitchen, master bedroom and two guest bedrooms en suite. 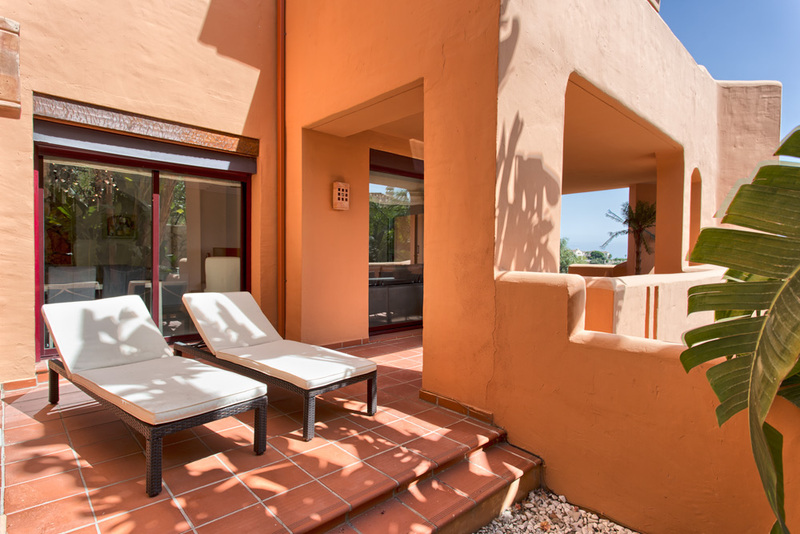 The lounge area leads us to a charming terrace and small patio garden. 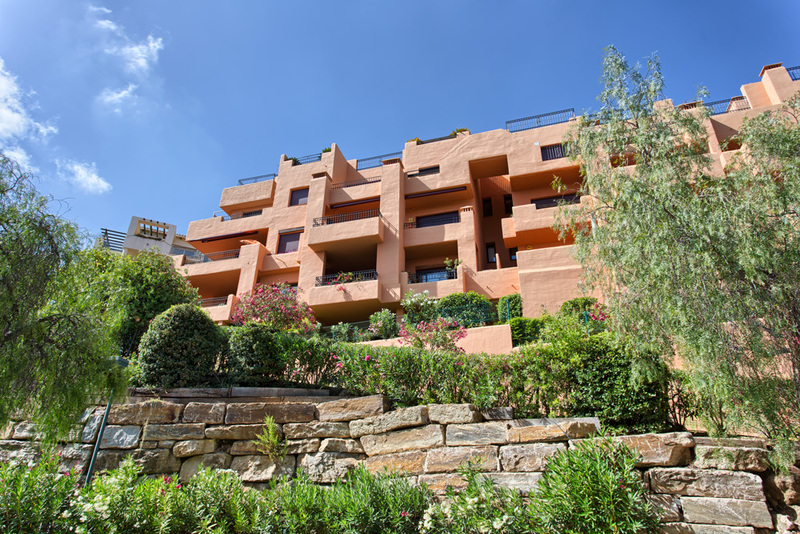 The property comes with underground parking space and storeroom. 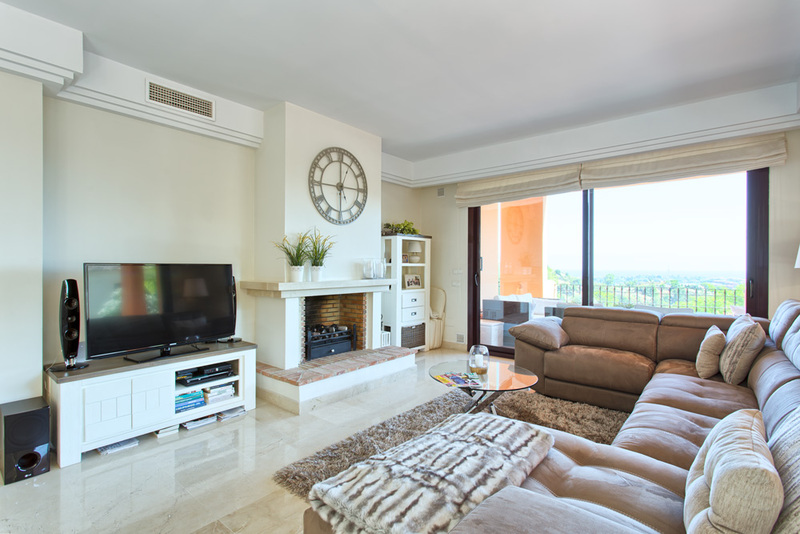 Some of the features include: underfloor heating in the kitchen and bathrooms, marble floors, gas fireplace, alarm, barbecue area, etc. 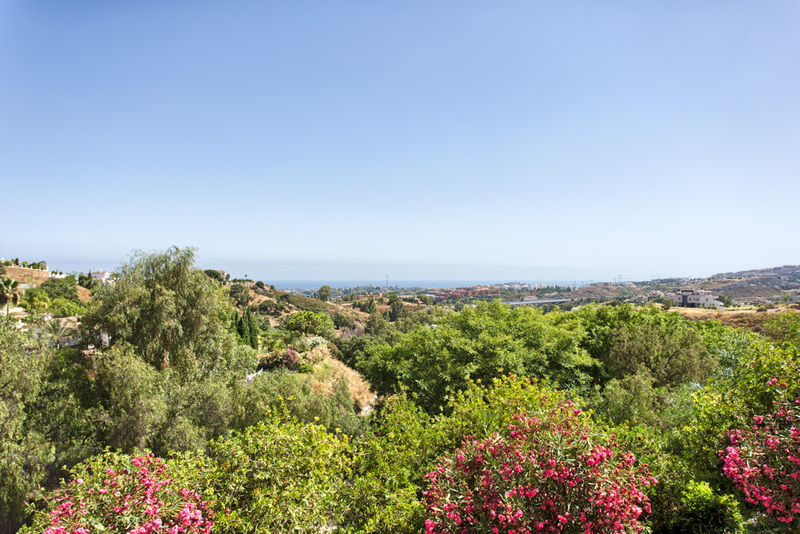 The community has very well maintained gardens and a large swimming pool.